US, Europe, Middle East and Asia Pacific. 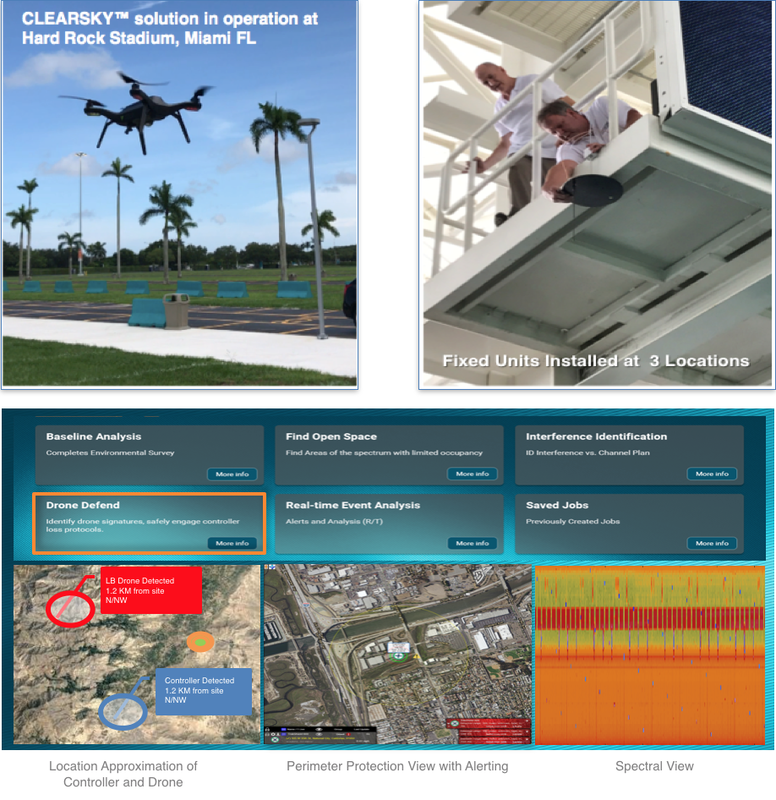 Digital Global Systems/DGS (www.digitalglobalsystems.com), headquartered in Washington DC, USA, delivers advanced situational awareness solutions for the Critical Asset Protection market globally. 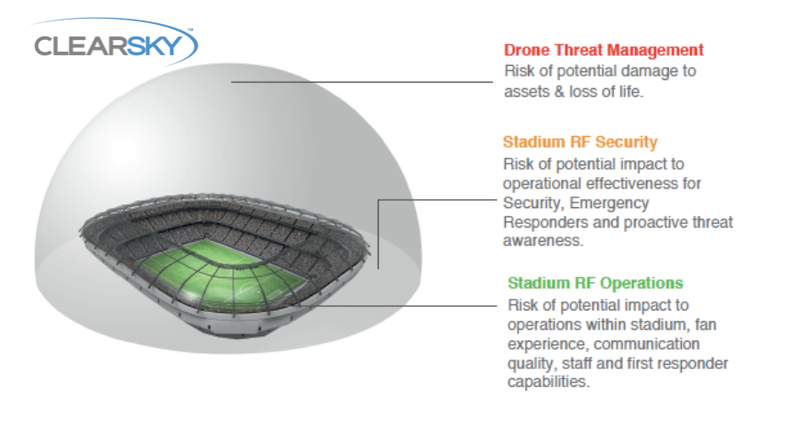 DGS has been awarded over 30 patents for its advanced RF monitoring and management technology delivering solutions for Sport Stadiums and Events, Public Safety, Defense, Transportation, Utilities and Telecoms markets around the world. 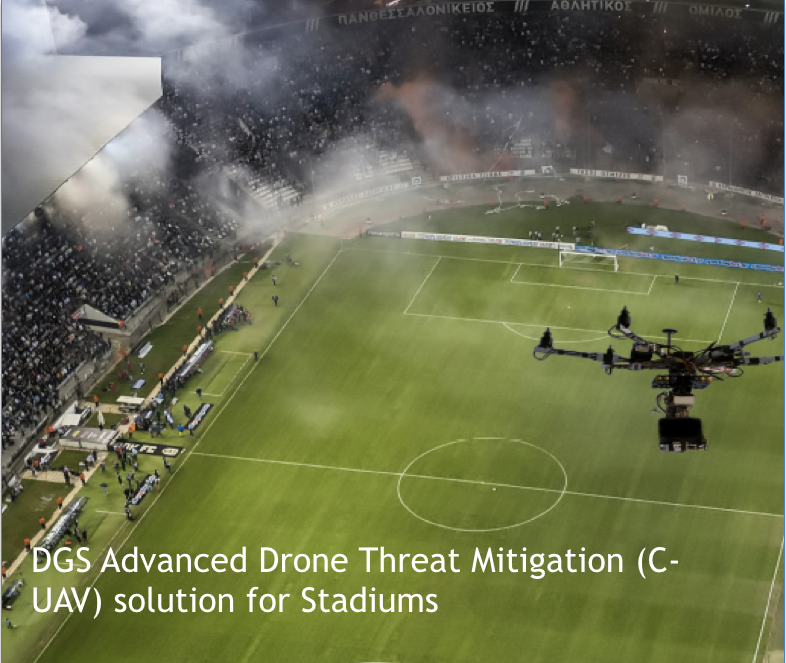 By combining a long-range UAV detection and defense solution that protects stadiums from illegal or malicious incursion from Drones with the ability to locate anomalous RF signals, DGS CLEARSKY™ provides an advanced UAV threat management solution that safeguards the stadium and public as well as identifying interference, wireless jamming, eavesdropping, and unauthorised communications that impede stadium operations, first responder effectiveness and public safety. 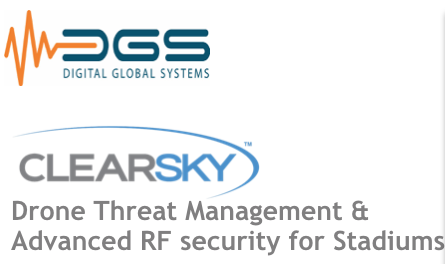 Through the continual advancement of Real Time analysis of the RF environment and the incorporation of machine learning technology, DGS is committed to providing security solutions that enhance communications for operational effectiveness and deliver security to the Public by providing protection against accidental or malicious threat.